The winner of Teambuilding Experience of the Year was agency Right Angle Corporate, for Shop Direct's The Killing - A Criminal Investigation. Right Angle Corporate was briefed to bring together Shop Direct employees from different departments of the organisation to enhance innovation, team togetherness and communication. 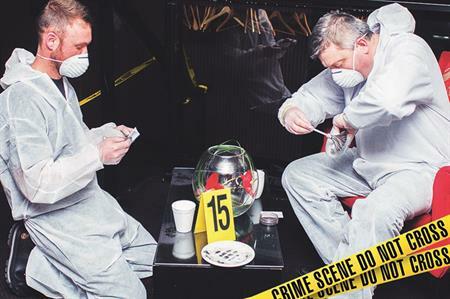 The result was The Killing, a realistic criminal investigation, delivered by an ex-Scotland Yard detective, in which delegates had to work together using a variety of skillsets and forensic tools, from fingerprinting to dentistry, and blood-spatter pattern analysis. The judges praised the activity's originality and attention to what the client wanted to get from its investment.